This board from ELZET80 is based on the K60 and comes with a range of extension modules such as the 8 input/8 output I2C module shown in the simulation. 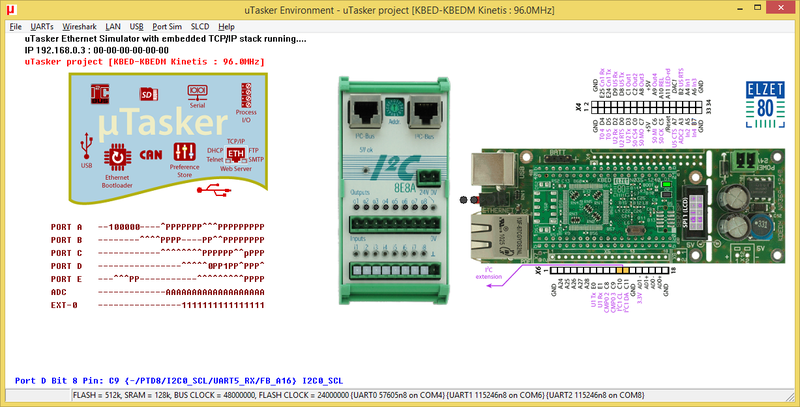 This board is supported in the uTaskerV1.4 project. Watch this page for binary files that will be added.